The NADA and Federal Reserve Bank of St. Louis’ 2019 car market projections for new vehicle sales as well as the used car market’s popularity and resiliency in the US auto industry and economy. Last Friday, The Federal Reserve Bank of St. Louis updated their seasonally-adjusted total vehicle sales report for the month of March. The report’s most significant finding was that US new car sales are already projected to be higher than that of the NADA’s prediction for 2019, while the used car market’s popularity and forecast remains strong. 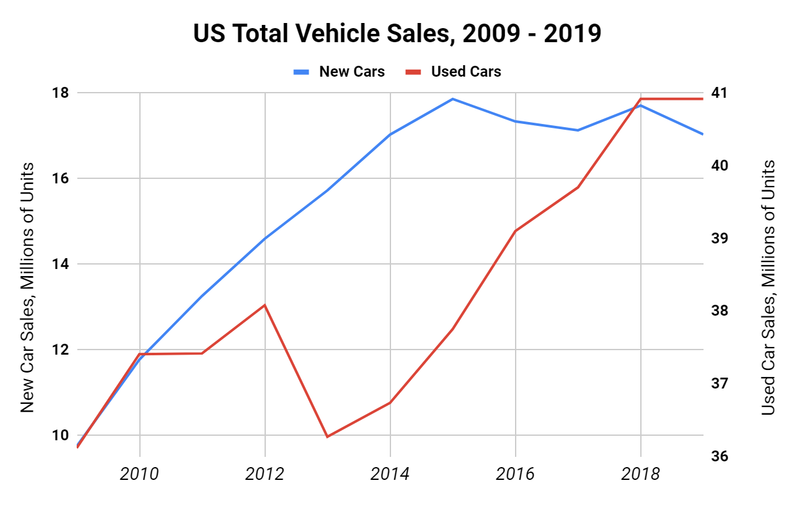 Even though the Federal Reserve’s prediction is approximately only half a million units more than the NADA’s, it’s still important to address the significance of this estimated figure, and what’s to come in 2019 for automobile sales. After a strong fourth quarter, 2018 marked the fourth year in a row where US new car sales remained over 17 million units. However, 2019 was thought to be different. Even though the NADA’s prediction of 16.8 million units sold was considered robust for what seemed like a low estimate, concerns for “price creeping” involving low incentives, high interest rates, and smaller tax refunds loomed warning dealers and the US economy that consumers may turn to used cars now more than ever. In the first quarter of the fiscal year, the US economy and the auto industry are highly dependent on February and March tax refunds. The IRS reported that last year, 102 million Americans received an average tax refund of 2,800 dollars. With President Trump’s new Federal tax reform in effect this year, when it’s time to file your 2018 income tax, many will be surprised to find out that their refund is either significantly smaller than expected, or that they don’t qualify for a refund at all. Without the government’s usual extra payout, US consumers will have less incentive to purchase a new car. Economist Johnathan Smoke describes this as “a tax increase, without having the effect of a tax increase”. 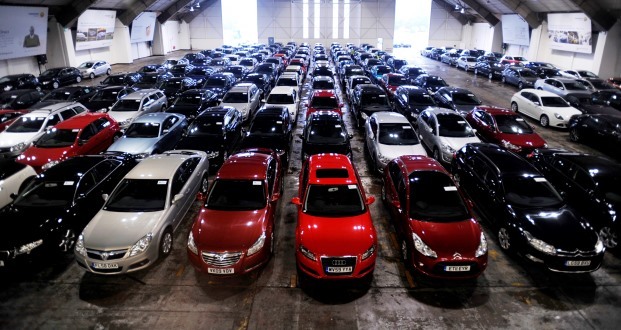 2019 also raises concerns for new versus used car prices and greater car value depreciation. Over the last seven years, 54% of vehicles sold in the US were under 30 thousand dollars, while only 6% were above 50 thousand. By the end of 2018, these figures flipped; instead, we saw a quarter of vehicles sold in the US were now above 50 thousand dollars, and just under a third were under 30 thousand dollars. This poses a major threat to the price elasticity of US household demand, a topic addressed in a February blog post. The average monthly payment for a new car is 533 dollars–10% of median US household income. A share of income that is too high to allocate towards a car payment. The price gap between new and used monthly car payments is widening every year. Even those with good credit are turning to used vehicles. If given the opportunity, consumers know they are better off purchasing off-lease, lightly-used vehicles that they can afford versus brand new vehicles that depreciate in value each mile they’re driven. For now, based on trends in the used car market we can continue to expect higher numbers of SUVs and minivans on the road. An increased use of these vehicles will in turn, also lead to downward pressure and stability in price. Full-size sedans, pickups, SUV’s, and minivans are all expected to drop as low as 7-8% in price compared to last year. Gasoline prices are also expected to remain relatively low and not catalyze any panic or shift in the car market. In sum, there is no cause for concern. The US economy is still strong, consumer confidence and employment remain high, and there are plenty of new and used cars to pick from.